Provide regular updates/news via a BLOG. Report Crimes and Suspicious Activity. Provide valuable advice on Safety and Security. Allow Resident Registration in neighbourhood and Block Watch. How to collect resident contact and emergency information. Create email groups by area/street so communications can be targeted to specific relevant groups. Compatriot Neighbourhoods advises on maintaining privacy and protection of personal information. How to request approval to share information with other residents. Let us show you how to create a private Neighbourhood Facebook page and how to assign an Administrative Manager. Do’s and don’ts of Facebook posting and other public spaces. 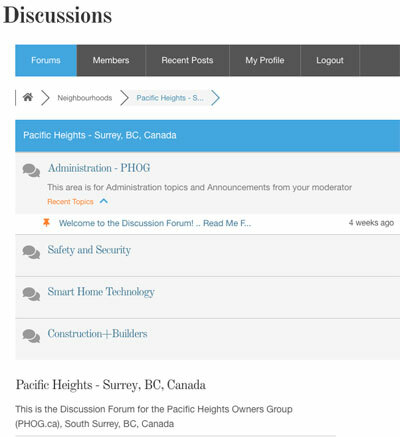 How to set up a Discussion Forum for healthy conversation between residents on relevant topics regarding the neighbourhood. How to moderate and administer conversations to keep them within the bounds set forth by Administration. In case of a Disaster or Emergency, we will show you how to set up communications tools to notify all residents of issues and incidents as they happen. This might be via email, text, phone, or any other media that might work. 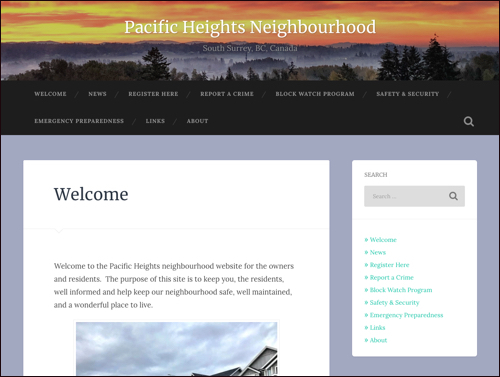 Compatriot Neighbourhoods will show you how to set up an RCMP Block Watch Program, or relevant Street Watch program that might be available in your area. Assigning Block Captains and co-Captains and providing training for these important positions.